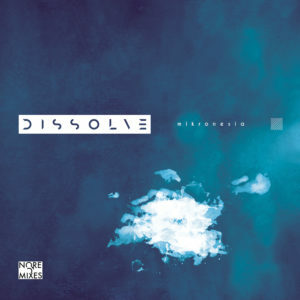 Hear an excerpt of Mikronesia’s “Dissolve”, out Friday, November 10th. November 3, 2017 by ·Comments Off on Hear an excerpt of Mikronesia’s “Dissolve”, out Friday, November 10th. Mikronesia’s new hour-long ambient work Dissolve is released next Friday, November 10th. But today, you can hear a 2 minute excerpt from the prolific composer’s new music. Dissolve was recorded and produced during Mikronesia’s recent artist residency at Liebig12 in Berlin. It is intended to be listened to as a still sonic journey lying or sitting down. But it can also be used as a soundtrack to yoga, meditation or inner/outer exploration. Preview it below and immerse yourself in it fully next week.